Even a few years back India was synonymous with outsourcing. Whenever a business wanted to outsource their business process, they only thought of one destination – India. But the promising scopes of outsourcing have instigated many other countries to enter the outsourcing arena. Recent studies suggest that there are more than 30 countries around the world that are vying for the outsourced work. 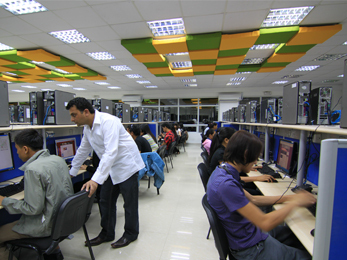 There is some Asian, some American countries competing for IT and call centers outsourcing. So, have these new players overshadowed the prominence of India as an outsourcing giant? According to Gartner Research, India is still the number one outsourcing country which is highlighted by their scores out of ten. India has come off trumps in all the judging criteria that were set. Philippines, Vietnam and Indonesia are the new players from Asia who are creating quite a few ripples in the outsourcing industry. But the industry experts feel, these emerging countries still have to cover miles before they can get close to the infrastructure, service structure and other essentials that India has. For the moment India has held onto its throne. None of the new competitors has the vast talent pool India possesses. Call centers in India are favorites for US and UK processes, because there are experienced professionals who can tackle processes from any industry. India with 1.2 billion population gets around 3.1 million graduates every year. So, there is no dearth of talent. Only China can come anywhere close to India in terms of the talent pool (merely by numbers) that India possesses. But China has entered the outsourcing arena only recently. Plus China does not have a high English speaking population, which India has. Pricing is the most relevant reason for outsourcing work. The currency value of the US and UK are many times higher than India. This is why a call center in India can charge low fees and still make profits. The emerging European and American nations which have set their foot in the outsourcing industry cannot compete with India in terms of the pricing. In this regard the Asian countries such as Philippines, Indonesia or Vietnam can offer lower pricing, but they do not have the infrastructure or talent pool to support a large process. Again India is irreplaceable from this point of view. Whether it is IT services or call center processes, India have over the years offered great services to the clients based in first world countries. They know the exact needs of clients; the structure in the Indian companies is such that clients are kept in the loop. When companies outsource to an Indian call center they can be sure that the work is managed and handled by senior pros. The newcomers in the industry still do not have the experienced pool of professionals who can do justice to projects, whether large or small. The clients can expect speedy work with great quality when they outsource a process to a reputed company in India. One of the reasons why India has been able to create an envious reputation in the outsourcing industry is governmental support. Indian government encourages companies to offer great services and charge lower fees with their friendly policies. There are tax exemptions provided to the companies in various areas. These policies not only help the existing companies to extend their expertise, but also help new companies being formed. As it can be seen, though there are many new names emerging in the area, but Indian supremacy is still unaffected and it will continue in the same vein.